Kids are heading back to school which means that backpacks are once again being used daily. 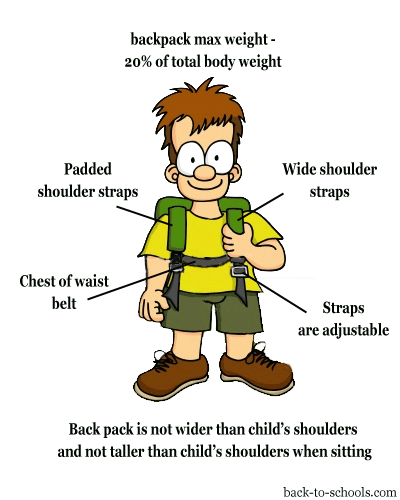 Here are a few tips to help you show your child the best ways to pack and wear a backpack. 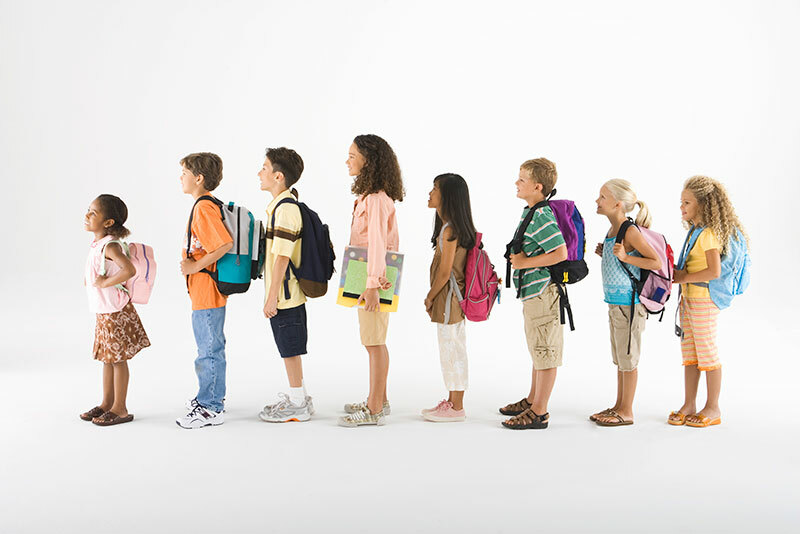 Backpacks and their contents should weigh between 10-20% of your child’s body weight. Leave a water bottle and shoes at school to minimize the items going back and forth.